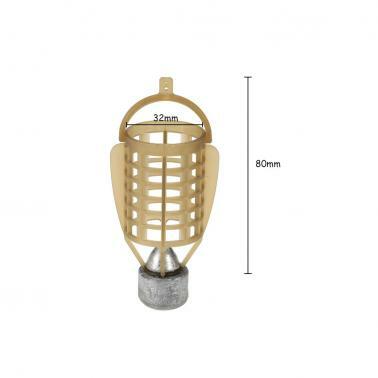 This pack includes 5 bait cages to meet your different fishing demand. Made of high quality nylon and pure nylon, environmentally friendly and durable. With lead sinker, convenient to cast, no need to buy extra one. Open end feeders with fins to assist in accurate casting. Small sized, lightweight and portable. Package includes 5 bait cages: 1 * 40g; 1 * 50g, 1 * 60g; 1 * 70g; 1 * 80g.